Radon is a colorless and odorless radioactive gas released by the natural degradation of uranium. Radon can be found naturally in high concentrations in soil and rocks containing uramium, granite, shale, and phosphate. Radon enters buildings through dirt floors, cracks in concrete floors and walls, floor drains, sumps, joints, and tiny cracks or pores in hollow-block walls as the degradation proceeds. The facilities on Fort Rucker have been tested for radon, and no problems were detected. 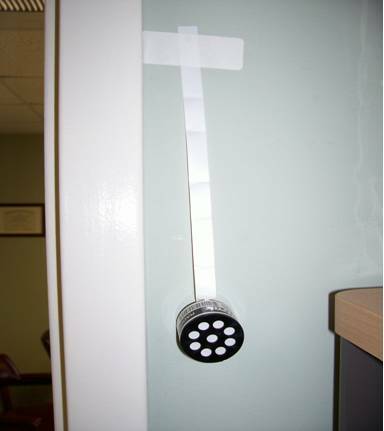 The radon detectors (shown here) are placed in various buildings around post. These canisters should not be disturbed while the testing is in progress. Contact DPW-ENRD for additional information.